I feel like the holiday season doesn’t officially begin until I have my first sip of eggnog. And although I’ve done my best to ignore the ingredient list in my beloved Hood Golden eggnog (high fructose corn syrup, artificial flavors and RED 40, YELLOW 5 & 6) for the past several years, I decided that it was high time to make my own… with no questionable ingredients. 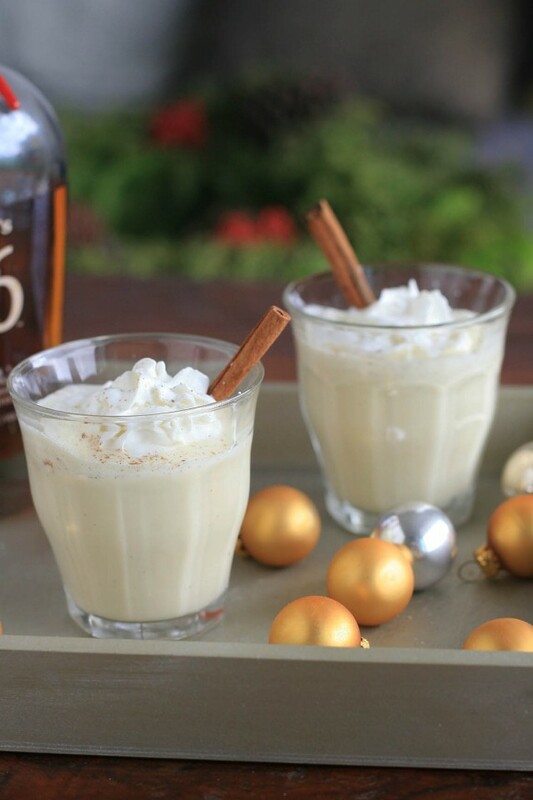 Rich and creamy, this eggnog is spiced with real vanilla bean, cinnamon, cloves and nutmeg. And because I’d like everybody to enjoy a Salmonella-free holiday season, I decided to go with a cooked egg version. In past years I’ve skipped the booze because the idea of milk/cream coupled with hard alcohol didn’t seem all that tempting. Man did I miss the boat on this one. After all, both Irish Crème and White Russians are prime examples of just how great the cream and hard alcohol combination can be. 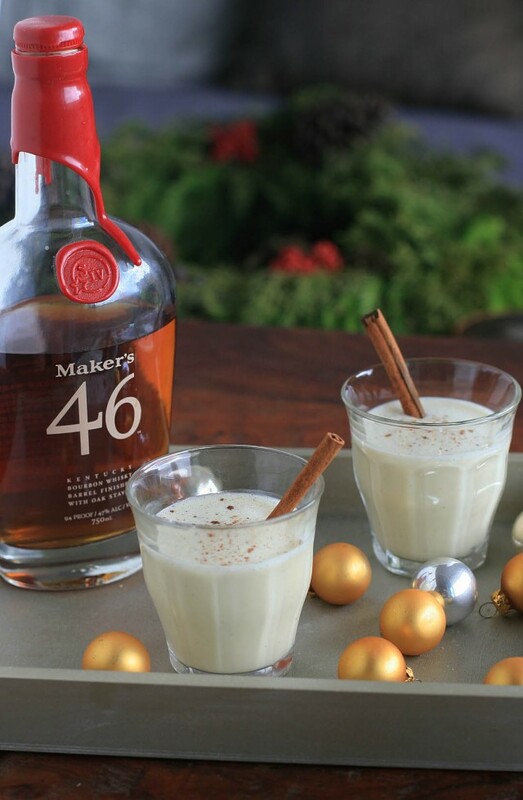 If you’re making this eggnog for children, you’ll want to skip the bourbon and rum. But if you’d like to gussy it up a bit, I saw a great tip from Laura Calder to add a bit of orange flower water to taste. 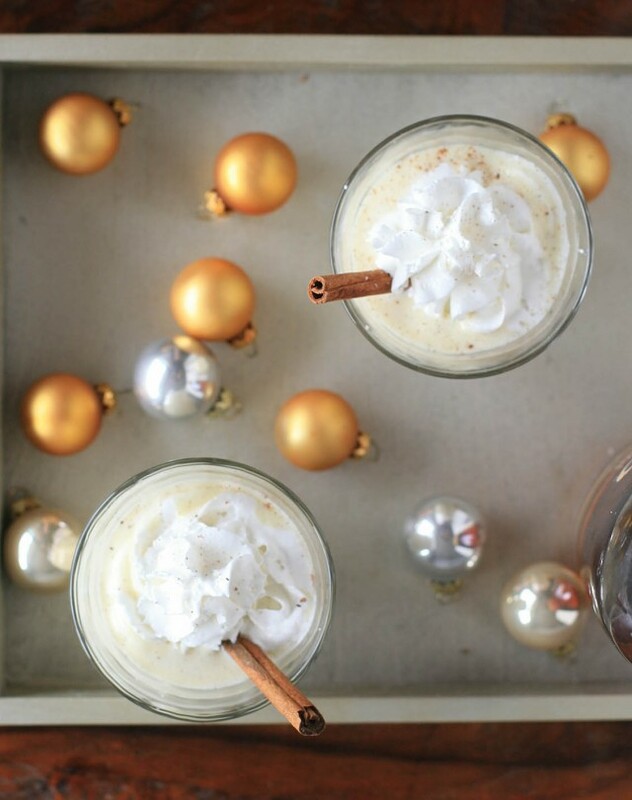 And while the eggnog can be garnished simply with a sprinkle of cinnamon or nutmeg, a small cap of whipped cream and a cinnamon stick garnish make the drinks extra festive. Place the milk into a large, heavy-bottomed saucepan and scrape in the seeds from the vanilla pod. Add the vanilla pod, one cinnamon stick, and the cloves. Heat the mixture to the boiling point. Remove from the heat, cover, and let sit 20 minutes to infuse. Beat the egg yolks, sugar, and heavy cream, and nutmeg together in a large bowl. Very slowly add the infused milk mixture, whisking constantly. Return everything to the saucepan, place the pan on medium-ow heat and cook, whisking constantly, until the mixture has thickened slightly, about 3 to 5 minutes. Do not allow the mixture to boil (the mixture will likely curdle if it comes to a boil). Stir in the bourbon and rum. Taste the mixture and add more nutmeg, if desired. Strain the mixture into a jug, cool, and, chill. 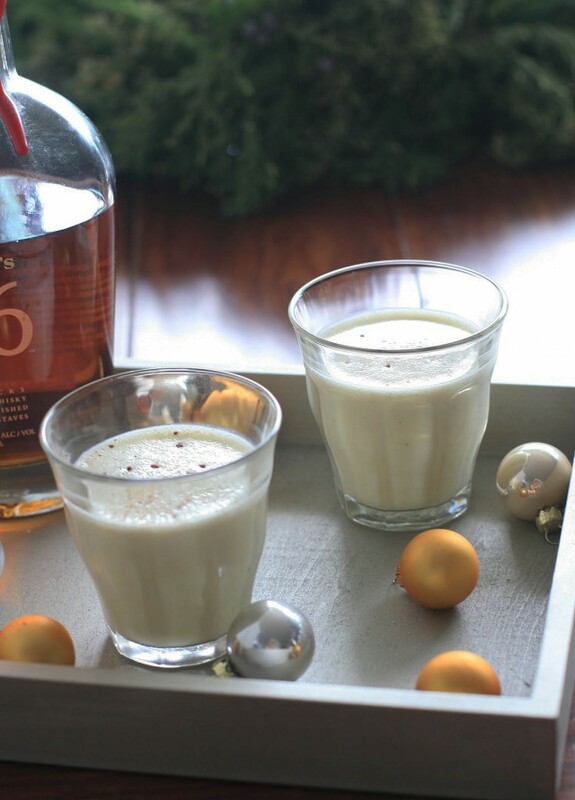 When ready to serve, pour the eggnog into glasses, top with whipped cream and a sprinkle of nutmeg or cinnamon. Garnish with a cinnamon stick, if desired.